Monday, Jason Kidd gave the NBA his retirement notice. He and Grant Hill were the only active players this year that appeared in NBA Jam: Tournament Edition from 1994. Like veterans of a long-ago war, day by day we are losing the athletes of video gaming's cartridge era. These are the last of them. In 1994, Kidd, out of California, and Hill, from Duke, graced a loaded all-rookie team in NBA Jam: TE, fondly remembered in arcades as well as basements and rec rooms on the Super Nintendo, Sega Genesis, and a slew of other platforms synonymous with video gaming of that decade. There are three NHL warhorses still playing whose video game appearances go back to the 16-bit era. They are joined by two other baseball players who may retire at the end of this year, and a handful of NBA veterans whose futures are likewise in the air. These are the longest-tenured video game performers in North America's four principal team sports leagues, plus the last active players from three classic video games. Until the latest version arrives on Aug. 27, there is one man and one man only who can say he appeared in every edition of Madden NFL that has included real-world players. And that is Jason Hanson (above left), the Detroit Lions kicker who retired in April. Hanson was on the roster for Madden NFL '95, the first game in the series to be licensed by the NFL Players Association. That is a remarkable distinction. If I was Hanson, I'd have a belt buckle made for that. But with Hanson out of the league, the next longest-tenured NFL performer in video games is Adam Vinatieri (above right), who is the league's oldest player and shows no sign of retiring. He appeared in Madden NFL 97, and the Sega Saturn-exclusive NFL '97. He's also a kicker. After Vinatieri is Tony Gonzalez, the Atlanta tight end who just signed a two-year deal. Gonzalez made his console video game debut in Madden Football 64, the last Madden to be licensed by the league's players' association and not the NFL itself. In what will be his final season, much is being made of Mariano Rivera's longevity. But he is not the major leaguer with the longest string of appearances in video games. That goes to another New York reliever with 19 years of service—LaTroy Hawkins, currently of the Mets. So this post has been amended to include Rodriguez. Though he has yet to play this year because of injury, he is under contract with the Yankees through 2017 and appears certain to return at some point before then, likely outlasting Hawkins. Until then, they're tied. Baseball video games in 1995 did not release before Opening Day, as they do now. Thus their rosters—which could not be updated online as they are today—depended not only on who was on the team by the publishing deadline, but also who was a member of the MLB Players' Association, as its group license only allows the use of likeness for union members. Neither Rivera nor Jason Giambi, the only other active players with service in the 1995 season, saw much time in 1995. But Hawkins, in his rookie season, was in Minnesota's starting rotation on opening day even though he would be sent back to Triple-A Salt Lake to pitch 22 games in midseason. Hawkins made his debut in the Twins' fourth game of the season, and that got him onto the roster for Frank Thomas' Big Hurt Baseball, which released in September 1995 for the Genesis and then in November for the Super Nintendo. All other games released that year drew on the majors' 1994 rosters. With Kidd and Hill now out of the picture, Juwan Howard—who is only nominally active for the Miami Heat as they go to the NBA Finals—holds this distinction, going back to Konami's Super Nintendo-exclusive NBA Give 'n Go of 1994. Howard and Kidd both appear on their correct teams in this game, unlike NBA Live '95. Had the duo made that roster, they would be the only ones to appear in every version of EA Sports' basketball franchise. NBA Live '96, for some peculiar reason, included several rookies only as Easter eggs—Jerry Stackhouse, Kurt Thomas, Rasheed Wallace and Kevin Garnett among them. You had to enter their names in the player creation menu to unlock them. Who knows why NBA Live '96 resorted to that; it may have to do with the NBA Players Association group license. But if that counts as a video game appearance, then they will be the incumbents once Howard retires. If not, then the longest video game tenure is somewhere in a pool of players including them and Steve Nash, Kobe Bryant, Ray Allen, Derek Fisher, Marcus Camby and Jermaine O'Neal, assuming any remain active next season. For now, it's undisputably Juwan Howard. For the nostalgia minded, here's a look back at the last veterans of the 8-bit era, all of whom have since retired. Landeta, whose last game was in 2005, is the last man on the Tecmo Bowl roster to appear in an NFL game, beating out the Raiders' Tim Brown, the 49ers' Jerry Rice and Minnesota's Rich Gannon, all of whom retired in 2004. Tecmo Bowl's roster was based on the 1988 NFL season, but remember that it did not feature every team in the league (and, with only the NFL Players Association's license, did not even feature the team names or logos of those who did appear.) Vinny Testaverde, Morten Andersen, Jeff Feagles and John Carney all were in the league in 1988 and played longer, but they were not on the Tecmo Bowl roster. Carney's consolation prize is being the last active NFLer on a game even more loved—Tecmo Super Bowl, which did feature all of the teams, all of their names, and practically every player from the 1990 NFL season. 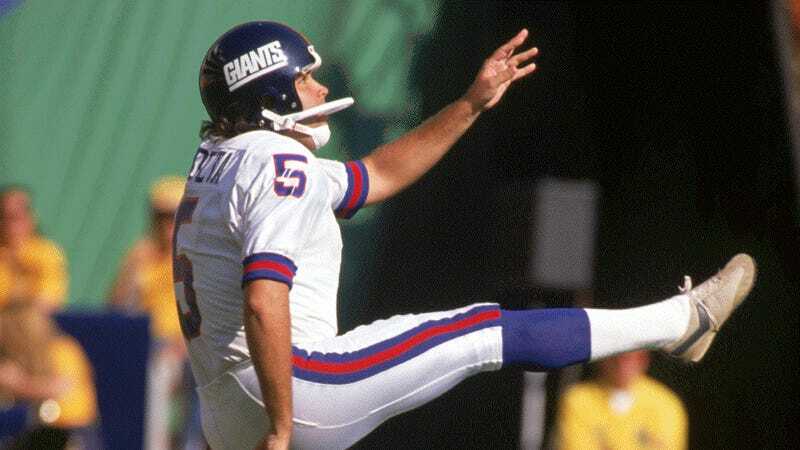 Reports at the time said that Feagles, another Giants punter, was the last active Tecmo Super Bowler when he retired in May 2010. But Carney came back for two games with New Orleans the following season (making five of six field goals) before retiring. Feagles and the late Junior Seau were Tecmo Super Bowlers who made their final appearances the year before. I love R.B.I. Baseball because, being the first console game to feature real baseball players, it churns up some fantastic trivia answers and anomalies. Two guys who made their major league debuts in 1966—Don Sutton and Nolan Ryan—both appear in R.B.I. Baseball. That's one degree of separation from names like Sandy Koufax and Gil Hodges. Here's my biggest forehead smacker—how did John Kruk get into this game? R.B.I. 's main roster featured 10 teams—the four playoff squads from 1986 and 1987, plus all-star teams for the National and American Leagues (even though R.B.I., like Tecmo Bowl, had licensing only from the players' association, not the leagues themselves.) John Kruk was on the San Diego Padres in 1986 and 1987, and did not make an All-Star team until 1991. Yet there he is. And 25 years later, Kruk still is appearing in video games, as an analyst for MLB 2K13. The question of last active major leaguer to appear in R.B.I. Baseball, though, depends a little on what standard you use. Roger Clemens, on Boston's roster in this game, pitched his final regular season game on Sept. 16, 2007. Julio Franco, on the game's American League all-star roster, played his final major league game the very next day. But Clemens did appear in the 2007 postseason. Franco is popularly assumed to be the last man standing from this roster. I think it's at least a tie, if not Clemens' title outright. The forerunner to today's NCAA Football series by EA Sports, College Football USA '96 was renamed from Bill Walsh College Football and was the first in the series to feature every Division I-A team, plus real bowl games. While players on this roster did not appear under their own names, as I and many others have said, this is a fig leaf to get around the NCAA's amateurism requirements. There are about 20 players whose NFL careers began between 1996 and 1999 (thus would have been playing when this game released) who are still active. I found two playing under their college numbers at their positions in College Football USA '96: Tennessee's Peyton Manning and Texas' Phil Dawson. Though Manning came back from a neck injury to lead Denver to a 13-3 record with the NFL's best completion percentage, I'll put my money on a kicker. They're the true survivors of the NFL. Last year, Dawson was perfect on all 13 attempts from 40 yards or more, and he just signed with the San Francisco 49ers, too. But it wouldn't surprise me to see him end his career kicking for the Eagles.